William DeWitt and David LaFrance began a pen & pencil company in the 2nd half of 1918, first making fountain pens and then adding mechanical pencils by or before 1920 at 54 Washburn, Cambridge, just across the Charles River from Boston. It was an excellent location given the numerous seats of higher education in Cambridge, including Harvard and Radcliffe. The inventors applied for two pencil patents in 1919, so they had to have made some pencils, at least as prototypes, in that year. Their patents were granted in 1920 and 1922. Before that the pair engaged the Samuel Ward Manufacturing Company of Boston to make their products, some of which were marked SaWaCo. Here is one of the DeWitt-La France ring-tops, a 4 inch, rear drive, twist pencil with a pleasant design, and the imprint in capital letters, SUPERITE, NICKEL, PAT. Their longer pencils with a clip were similar, and marked SUPERITE, Pat Pend. or Pat. The nickel alloy is still bright and the pencil is still working after 97 years. This Superite has a smooth crown-top, but some have a floral design around the crown. Some of the Superite barrels are plain, some have engraved designs. The company also made a tiny version of the ring-top called the Superite, Jr., and a few pencils by DeWitt-LaFrance can be found marked DeLaCo. 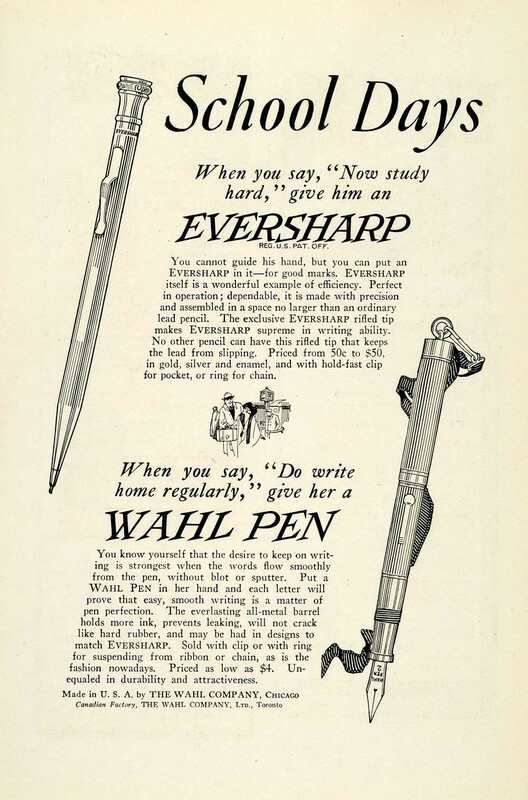 Unfortunately for the young company, giant Wahl-Eversharp sued DeWitt-LaFrance in the spring of 1922 for imitating the lettering on their Eversharp pencils (which Wahl had “borrowed” themselves from the Winchester Repeating Arms Company) and for copying other unspecified features of their product, with the objectives of obtaining an injunction against the manufacture of the Superite pencils and gleaning damages from DeWitt-La France. The crowns of all these metal pencils derive from classical architecture column shapes; it's hard to image one company trying to put a claim on them. The inner workings of the pencil were patented by the two inventors. That leaves the engraved designs and the clips as possible contested features. 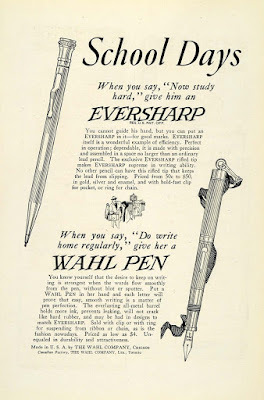 The Wahl company got their pencil workings from inventor, Charles Keeran, who began making them in 1913, via the George W. Heath Company, and their original fountain pen doings from the Boston Fountain Pen Company in 1918. Fonts are many and varied in the extreme; while both companies used a serif italic font, it seems to me that the DeWitt-LaFrance font used for the Superite is rather like Century Old Style, while the Eversharp has much more emphatic, slanted serifs. 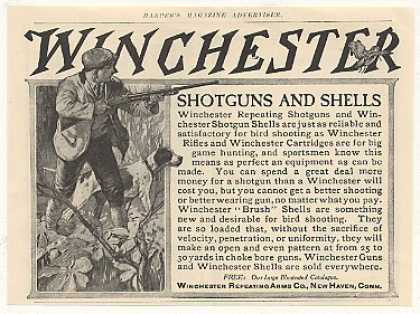 You have to wonder why it was not Winchester suing Wahl-Eversharp. The two inventors, DeWitt and La France, received a contract to make pencils for Rexall Drug Stores at about the same time, and did so under the Signet name, but eventually they appear to have sold out to Carter’s Ink of Boston in about 1925. They became interested in radios, and called their new product the “Superadio.” They are now prized by collectors of vintage tube radios. Recently, I added a 5 & 3/8 inch gold-filled clip-pencil to my collection. It is inscribed 1/9 gold filled, Pat, and PATD on the clip, dating it to after 1922. The personalization reads "1873-1923," dating the pencil to 1923. You have to wonder what 50th anniversary was being commemorated. Excelsior Paper Company, Holyoke, MA, perhaps. Hartshorn and Wilcox, the architectual firm? Or how about American-La France, the maker of fire engines? They all were founded in 1873. Or a golden wedding anniversary gift. . . could be that, I suppose. 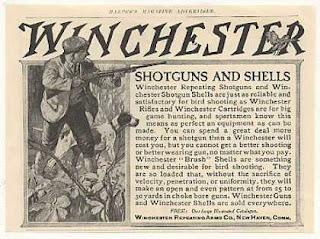 Super products from a couple of interesting inventors.